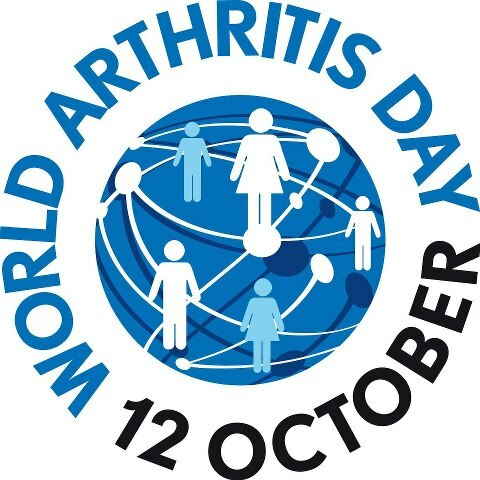 Today is World Arthritis Day, a day when the millions of sufferers of the many forms of arthritis reach out to the world to educate and advocate. One organisation, the National Rheumatoid Arthritis Society, based in the UK, has started a new campaign called ‘remission mission’ to show how the right care can make a huge difference to the quality of life of someone with Rheumatoid Arthritis. The remission mission’s goal is simple, to educate the general public and to encourage medical professionals as to what remission means for patients: “From something as simple as being able to brush your teeth, do the gardening or work full time, the word remission truly means different things to each of the 690,000 people in the UK living with rheumatoid arthritis (RA), as well as their family and friends who see them coping with the disease daily.” They have started a photo wall where patients and medical professionals have posted about what remission means to them. New research by scientists in 38 institutions across seven countries has brought to light over 100 genetic markers for Rheumatoid Arthritis, leading to further research on possible new treatments, according to Arthritis Research UK. Fascinating new research just been published on the role that bacteria in the gut may play in the onset of auto-immune disorders such as Rheumatoid Arthritis. Personally, I found this very interesting as I was initially diagnosed with Crohn’s Disease due to the problems I was having with my digestive system. Time and lots of tests showed that diagnose to be incorrect and Rheumatoid Arthritis to be the real problem. The more research that is done, the more we come to understand a disease that has so far befuddled the scientific community. Let’s hope a cure is not too far in the future. So, the last couple of weeks my epilepsy has been playing up. This culminated in a stay in my local hospital in Glasgow for 5 days. It’s an old hospital and is due to be closed but the care I received was amazing. So often we read about what’s wrong with the NHS. The UK national press loves nothing more than to print scare stories about people being left on trolleys, being surrounded by filth or just being badly treated by staff. I wanted to particularly praise the nurses on the two wards I was on: I started on a receiving ward and then was moved to a general ward. They were unfailingly kind, polite and caring. They made sure that everyone’s privacy was protected at all times. There were a number of confused, elderly patients on the ward and the nurses were especially kind to them, answering the same question as many times as was necessary to calm the patient. It was the little things that really counted, taking the time to have a quick word, even though they were rushed off their feet; checking regularly that patient’s were comfortable and helping them to move if they weren’t; ordering something specially from the kitchens if the patient didn’t like the food. Nurses of Scotland (and Glasgow in particular) I salute you and am so grateful that despite the enormous pressures under which you have to work, you still mange to have smiles on your faces, kindness in your hearts and a strong sense of caring in your souls. Once upon a time when I was much younger and more naive, I voted for the Conservative party and continued to do so until I realised that my naivety was blinding me to some obvious problems. I switched my allegiance to the Liberal Democrats as they appeared at that time to actually care about the majority of the population, not just the elite few. Then, due to ever increasing health problems, I moved to Spain. When I moved back to the UK, I discovered that things had changed a great deal. Conservatives and LibDems were ‘all in it together’ by which, it appears, they meant they were too busy patting their own backs, making sure their wages and expenses were as high as they could push them and generally ignoring the people who had voted them into power. I never imagined a day would come when I would be actively thanking Labour MPs. However, today is that day. As regular readers of this blog and my other one will know, I have Rheumatoid Arthritis and Epilepsy. Yes, whisper it quietly, I’m disabled. I had naively assumed when returning to Britain that the system that had helped me when I first became ill would do so again now that I’m very much sicker. I really must get my head examined to get all that naivety removed! Today, there was a debate in Parliament on the motion raised by the Labour Party which calls on the government to publish a cumulative impact assessment of legislative changes that affect disabled people by October 2013. Normally, I wouldn’t dream of watching a political debate but this one was personal, not just to me but to all the sick and disabled across Britain. I was watching the BBC and Twitter side by side on my laptop. The current government has made massive cuts to the welfare budget. Now, I agree that we can’t just hand out money like there is no tomorrow, especially in the difficult circumstances the world is facing. However, finding out how the people they are supposed to be protecting will be affected by assessing the possible impact first seems to make perfect sense to me. I was more than happy to agree to be properly assessed before any benefits came my way. I didn’t want to be labelled a ‘benefit scrounger’. Imagine my surprise when a person from ATOS, the group to whom the government has outsourced said assessments decided that I was in fact capable of work, despite my various specialists saying I wasn’t. So I started looking for work. Now, I am unable to stand or sit for any length of time, walk with a stick, have balance problems and have seizures. Would you employ me? No, neither it seems would anyone else. Fortunately, I had the good sense to think carefully about where I would move to when I left Spain and chose Glasgow. I have been so lucky with my medical team and with all the care and support I have received. My Rheumatology team in particular insisted that I was not to work, especially as a new treatment I had been given caused me to have a string of seizures. I applied again for benefits and this time, I have managed to get ESA….for how long, I do not know. Thank you Scotland for making me so welcome. Back to the debate. Members of Parliament on the Conservative side stood up and spouted the most ridiculous waffle about disabled people. One even went so far as to call people like me, who write about or campaign for disabled people, ‘extremists’. Seriously…we are extremists. Be careful world, we are coming to get you with our walking sticks and our wheelchairs! On Twitter, people already in despair, could not believe what they were hearing. Esther McVey, the Minister responsible for disabilities even went so far as to suggest that the charity, Citizen’s Advice Bureau, was somehow linked to the Labour Party. No charity is allowed to have political affiliation and the CAB is run by volunteers who do their best to help people with all kinds of problems. Which brings me to the Labour benches, and in particular those MPs who had REAL facts and figures, had obviously actually spoken to their constituents and genuinely seemed concerned about the matter, despite the fact that the House was virtually empty for most of the debate. Particular mention goes to Anne McGuire MP, Debbie Abrahams MP, Fiona O’Donnell MP and of course, Liam Byrne MP who gave the proposal speech. Then came time for the vote. Suddenly, the chamber had filled with MPs who seemed to just pop out of the woodwork. Most of them had heard less than five minutes of the debate, if that. When I tuned into the debate there was maybe 20-30 MPs sitting in the House. When the vote came back, the proposal was defeated by 227 for to 296 votes against. So, basically, us extremist disabled people must be willing to be ‘assessed’ by whomever and whenever the government chooses but they themselves will not carry out a basic impact assessment before cutting the ground out from our feet first. Everyone is affected by this, not just those currently disabled. As I have said before, one day it may be you or a member of your family. Please sign this petition to show your support.